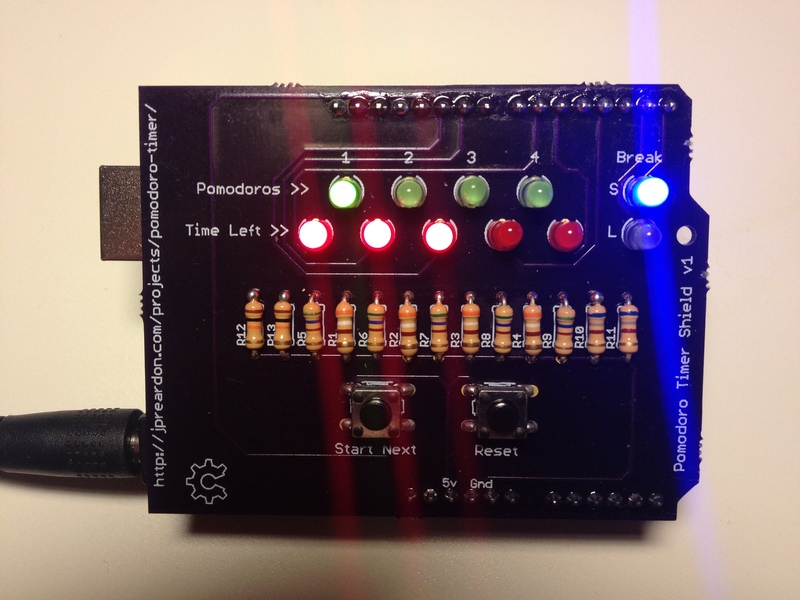 I just wrapped up work on a Pomodoro Timer Shield for the Arduino. There’s a full writeup in the Projects section. By the way, if anyone is interested in building one of their own, I have two additional PCBs that are just collecting dust right now. If you are interested in on, let me know in the comments.